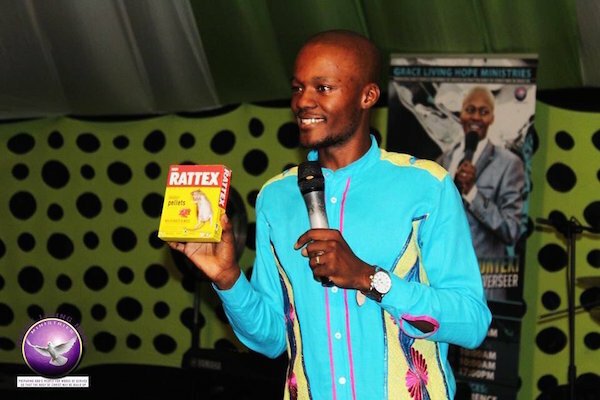 Pastor Light Monyeki mixed deadly pellets, Rattex, meant to kill rats and mice, with water and offered it to his church members, claiming it is for “nourishment and healing”. Grace Living Hope Ministries on Sunday posted pictures on its Facebook page. 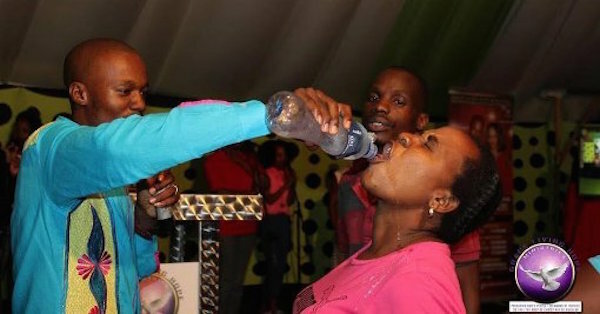 According to the post, the South African pastor made his congregants drink the poison to show forth the power of God. DEMONSTRATION OF POWER- MAN OF GOD MIXED RATTAX (DEADLY POISON) WITH WATER AND CAUSED PEOPLE INCLUDING HIM TO DRINK!!! 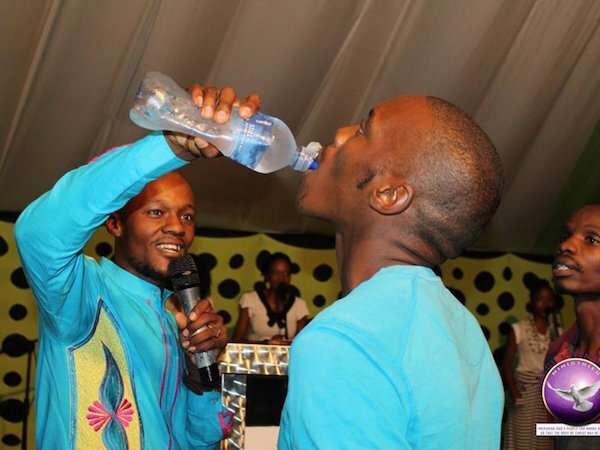 The man of God, Prophet Light Monyeki demonstrates power of faith by causing congregants to drink Rattax; deadly poison to show forth their faith. As he was doing that he said “we do not need to proclaim faith because we are believers. If nyope boys can smoke Rattax for more than 8years, who are we? Death has no power over us”. Then he declared life from above upon the water mixed with Rattax; and spoke nourishment unto bodies and healing unto the sick. A multitude of congregants voluntarily ran to the front to have a drink of the deadly poison. After declaring nourishment and healing, Prophet Light was the first one to drink. Miley Cyrus' VMAs costumes at the centre of copying row as designers say it's "very sad"